Today’s IT teams wear many hats and are typically stretched at capacity or even beyond. This leaves little time to step away from day-to-day data center operations to focus on driving innovation and supporting new revenue streams. The rapid adoption of new technology further taxes employees, as the team struggles to become subject matter experts in cloud, big data, IoT and other data center changes. Utilizing outside IT managed services can be a great way to alleviate some of these pain points. Imagine more time to focus on projects that go beyond maintaining the status quo and instead help your company grow. What data center operations are consuming most of your team’s time? What technologies are your team struggling to keep pace with? What pieces of your data center operations are more standard and which are unique only to your company? What do you wish your team could focus on more? It is important to find the right IT partner when looking into managed services. Look for a partner that is proactive –they know exactly what can cause data center downtime and problems and keep on top of looking for the warning signs. Your IT partner should have the right expertise. If it is data center backup and recovery that you want to hire out, than your IT service provider should be able to demonstrate specific expertise and the proven track record of success. Finally, the right IT partner doesn’t just manage the systems you have. A true partner has your pocketbook in mind as well and provides recommendations to improve operations and lower costs. Evolving Solutions’ IT managed services can not only help you free up your team’s time, but our expertise in backup and recovery, server monitoring and data center management will ensure your data center is operating at its best. Our engineering services also help you proactively plan for improvements and future needs. Contact us to learn more. Heading into 2018 IT leaders have real concerns about their data center operations and team. Today let’s look at some of these concerns and how our IT solutions and services can help. 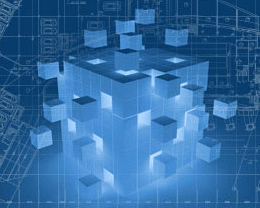 Legacy systems – legacy systems still play a role in many data centers. As business needs have changed so to have the demands on IT solutions and equipment, but moving to a new system presents many complications. Innovation – the responsibility to drive innovation and ultimately revenue has also made its way to IT. For some leaders, it is about navigating digital transformation projects and for others it is about freeing up team time from day-to-day operational work for new projects. Data – one simple word but an ever growing one in today’s data center. The increase in the volume and types of data has taxed many data center storage solutions to the max. 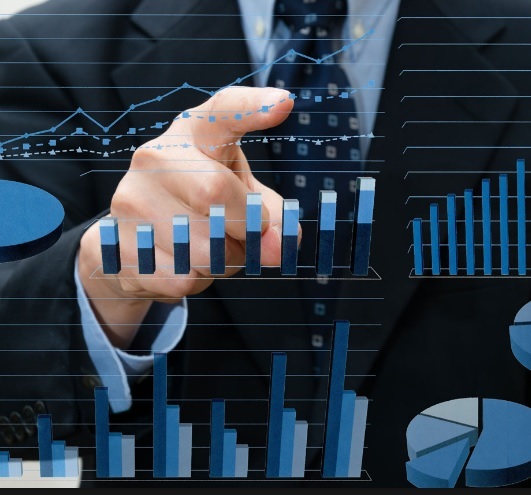 Coupled with the need to produce better data analytics and insights, managing data better is top of mind for leaders. Staff and the skills gap – With the labor market tight IT leaders face a shortage of employees in general, and new technologies are increasing the demand to provide training and education for their workforce. The good news is that Evolving Solutions has the IT solutions and services that can help you tackle these data center concerns. First, our team knows data centers inside and out. Our data center assessment services, Innovation Center and Integration Lab not only help you determine where to get started but can also provide unique access to test drive and down the road more easily integrate new solutions and hardware into your operations. 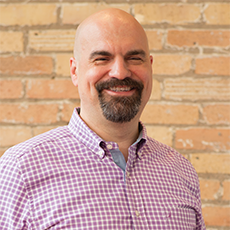 If data is your biggest concern, Evolving Solutions can help you find the best data storage solution and our big data analytics team is plugged into the latest tools that can help you drive actionable insights. Finally, we recognize that today’s IT teams wear many hats. Our professional and managed data center services can help take away some of the day-to-day burden from your team, so they can focus back on projects that drive innovation for the company. Contact us today and let’s get to work in 2018! Assuming the data backup solution will make restoring no problem. A one-size-fits-all solution is not the most effective way to backup your data. A better approach is to tier your data and applications by importance and look to a variety of data backup solutions that can help speed recovery of crucial pieces. Today, let’s add to that list and talk about two other risky assumptions that are common with business continuity planning. Risky Assumption #1 – My disaster recovery plan works because it is tested every year. Unfortunately, a yearly test is not viable in today’s data center environments. More data, the combination of physical and virtual infrastructures and fast changing applications mean that your periodic testing may not be in sync with your data center as it is at the present moment. Also many times tests only occur for a subset of data and systems vs. full-scale testing. Testing can be expensive and time-consuming for most organizations. Cloud-based business continuity and disaster recovery solutions can be the key to gaining not only more comprehensive testing but also access to expertise and skills that your team may not have which could ultimately speed recovery when it is needed. Risky Assumption #2 – The plan works because we successfully recovered our data and systems. 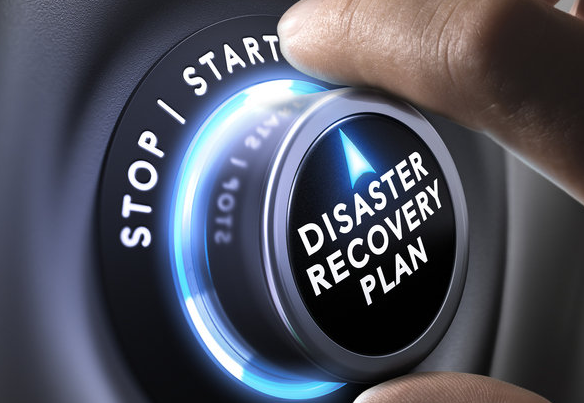 The initial recovery is one piece of a disaster recovery plan. A complete business continuity solution needs to also account for failover, or the process of returning operations back to the production environment. This too challenges many data center teams because employees lack the expertise needed for seamless failover processes. Create a more effective business continuity solution. If these assumptions sound familiar to you, it may be time for you to sit down with a trusted IT partner to assess your business continuity and disaster recovery solution. You may be surprised to learn about new technologies in disaster recovery, like cloud, that can bring you more protection and faster recovery. Contact Evolving Solutions and let our team help you better protect your data. When it comes to a hardware or software data center implementations or a data migration it is common to be concerned about the process, cost, potential problems and risks. Add on top of those concerns, the realization that your IT team may be short on the specific technical expertise to ensure a smooth transition to the new IT solution. The right partner with the right data center implementation services can help you overcome these concerns. Our clients know their IT systems in and out and work very hard to ensure that the technology can meet the challenges within their industries and unique marketplaces. But when it comes to adding new data center hardware or software most often our clients are unfamiliar with the specifics and do not have the expertise to confidently navigate. The list of concerns can be quite long and that is understandable. Businesses and their IT teams worry about data center downtime or even loosing critical information during a data migration or new hardware or software implementation. Turning to a trusted partner with a long history in implementing IT solutions and migrating data is critical to ensuring a smooth and worry-free (or greatly reduced!) transition. Managing costs and keeping to a schedule that reduces or eliminates downtime is equally tough and right up there with the technical concerns. This is where working with a partner who can draw on specific expertise can really make the difference. For example, here at Evolving Solutions our specialist have over 20 years of industry experience and a solid sense of what works and what doesn’t. We also offer our clients access to our Integration Lab where the new data center solution is tested, installed, configured and prepared for your IT equipment offering a much smoother transition into your data center. The right technology partner has your needs in mind and takes the time to understand your unique situation. The right technology partner offers you a full and comprehensive data center implementation services – from the first project discussion through install to the last employee question. At Evolving Solutions not only are we there during the implementation process from start to finish, but we also offer training and documentation services. We educate your team and show them how to manage their new solution, ensuring a smoother transition both from the technical and people perspective. We invite you to check out our data center implementation services or better yet, contact us so we can speak directly about your project. Your data center infrastructure keeps your business operating day-in and day-out. Our data centers need to be fast, flexible and efficient. Security is also a top concern for IT managers. Facility Executive highlights several infrastructure trends for 2017 that help IT meet these growing demands. Micro data centers – Data center resources are being pushed closer to users and to processes to provide faster processing and delivery and to better analyze data collected by sensors and devices in real-time. Micro data center use is growing and will continue to grow in 2017. IT teams are looking for solutions that support fast deployment, standardization and remote management to better handle a more distributed IT landscape. 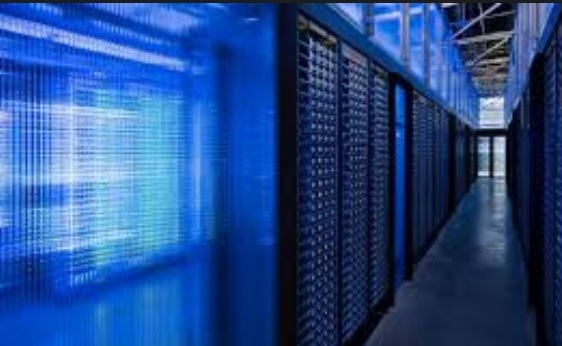 Data center cooling – Important to data center infrastructure management is the cooling process. Thermal management strategies continue to change and new technologies provide more sustainable solutions. Expect to see more use of evaporative and adiabatic cooling techniques that use water more efficiently to cool, and in some locations where water supplies are limited, companies will turn to waterless cooling systems. Data center security – Security continues to be top of mind in 2017. As more devices become connected, the data center is exposed to more security threats. Managers are investing in tools and processes that help identify network weaknesses, increase visibility and provide early warning notifications to create more secure environments. DCIM as a key discipline – In 2017, Data Center Infrastructure Management (DCIM) principles will continue to prove their value as data centers become more complex. DCIM will grow in importance as more IT teams tackle automation and manage hybrid operating environments. Data center development – Data center design and deployment become more integrated in 2017. Markets change fast and the ability to quickly deploy a new data center and scale are important to staying competitive. Combining design and development is helping to increase speed-to-market. 2017 will be the year of ensuring our data center infrastructure is up to the task of tackling today’s business and customer needs. Jaspreet Singh reports for Data Center Knowledge that every day 2.5 quintillion bytes of data are created and stored, according to IBM. That is a lot of data and companies of every size face the task of keeping their ever-increasing data safe. This becomes even more difficult as data exists outside of IT’s “four walls” and can move freely among many devices. Now add another layer: compliance. Mr. Singh points out, “In addition to HIPAA and GLBA, there are many mandates and regulations businesses need to keep top-of-mind.” Mr. Singh provides his recommendations to protect data while also managing compliance needs. Data protection and compliance are two sides of the same coin. “When done right, data protection practices protect the business at all times, capturing all data that employees create across the business and moving it to a secure secondary location. Compliance doesn’t work the same way; while there may be processes that have to be “compliant” in order for the business to run its operations, the team will tend to get involved when there is a change in regulation or a need for an audit to take place,” Mr. Singh explains. These audits can take considerable time from IT and Mr. Singh recommends taking a look at the processes in place for auditing and managing your data before an incident happens. There may be “smarter” processes and procedures to implement that will save you time down the road. Be proactive when it comes to compliance. Although routine audits can be predictable, a compliance incident is not. But, you can still be proactive and plan for an event by automating the processes you can to make accessing the data needed during an incident easier. Also look for areas where automation can help classify data into buckets or flagged potential issues. Recognize you need to manage to data end points not just central IT. Data now moves between difference devices, clouds and in and out of our data center. Data protection and compliance process need to extend out into all areas where data is used and created. Being proactive and planning ahead are key to data protection and compliance. Now, identify the risk level for each. Mr. Miers writes, “The risk will also affect the budget required for the migration; you may need a test environment, dedicated data center staff and additional software licenses.” Take into account the new network and the performance needed as well as latency. Next is the discovery and compatibility review. Spend time reviewing all the connections, dependencies and components of the systems you plan to migrate. As an example, mission critical systems are also typically connected with disaster recovery so be sure to also investigate the impacts of migration on connected systems. Sometimes if the system is older this can be time-consuming but it is necessary. Compatibility is also very important. Is the system compatible with the new environment? There are different approaches you can take in your planning depending on the answer to that question. Share your thoughts on data center migration.